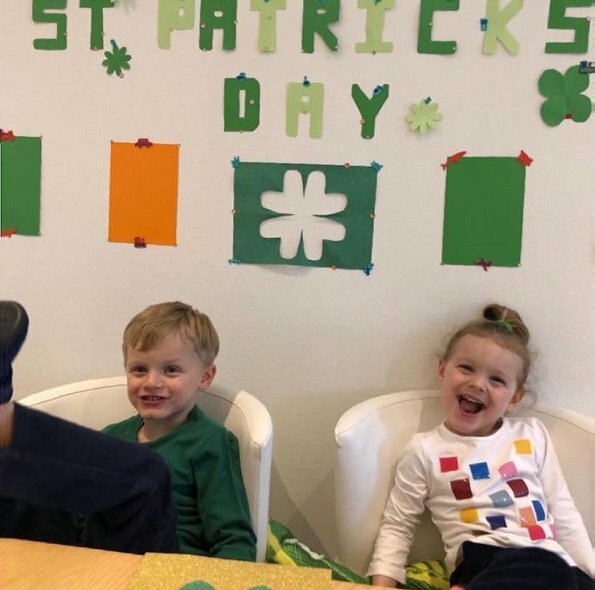 On the occasion of St Patrick's Day 2019, Princess Charlene of Monaco shared on her Instagram account a new photo of her twins Crown Prince Jacques and Princess Gabriella yesterday, and congratulated everybody for St Patrick's Day. Gorgeous But Charlene is over posting her kids' private lives. She is not over posting. She is just a proud mother. Nothing wrong with that. I am sure they have plenty of security. They're her children, so it's her choice to choose how much to share. Princess Madleine of Sweden does post more than Princess Charlene. The kids are adorable. I actually quite think that Charlene posting these pictures makes the family appear more approachable, away from the glitter and glamour of Monaco and the billions of the Grimaldis. Very adorable Prince Jacques and Princess Gabriella of Monaco. What beautiful children. The parents must be so proud. Gabriella seems to be more outgoing, her brother Jacques, is a little shy. Jacques is very handsome and Gabrielle is adorable. I think is great Princess Charlene posts pictures of them, not hiding them away. or do just photo ops like most royals. Princess Charlene doesn‘t publish much more pictures than other royals. After all she doesn‘t want her children persecuted by paparazzi. They are her kids, let her publish photos as she sees fit. Generally, I am not interested in pictures of children on this blog. I like to see the fashion on adult women. Why royal kids of Monaco celebrate St. Patric's? I'm confused.